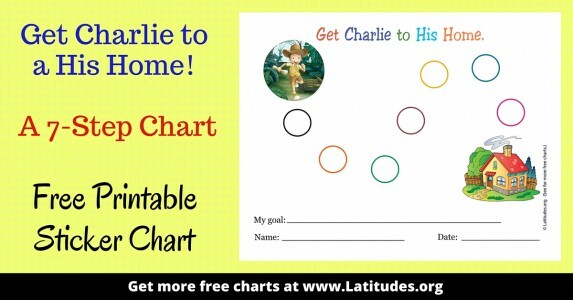 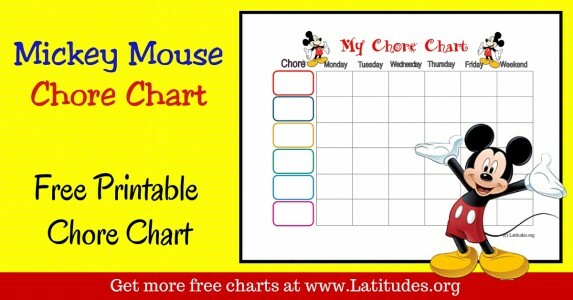 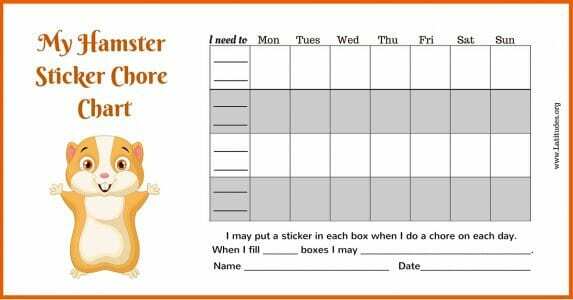 Chore charts may have been the reason for the original behavior or sticker chart! 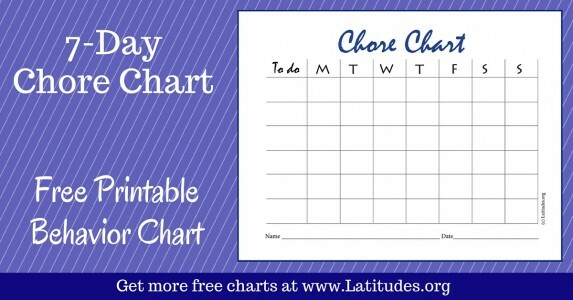 Life tends to go more smoothly when a chart designates specific chores for a child, saving the need to discussion and reminders, over and over. 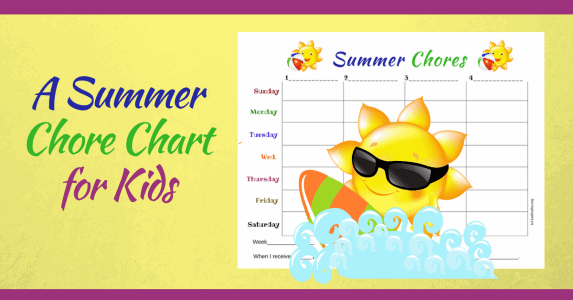 Children also enjoy seeing their efforts acknowledged on a chart, whether with a sticker, a smiley face or a simple check list. 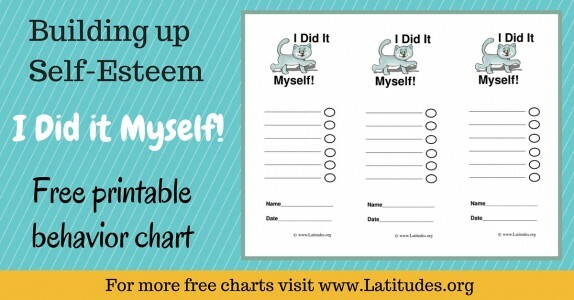 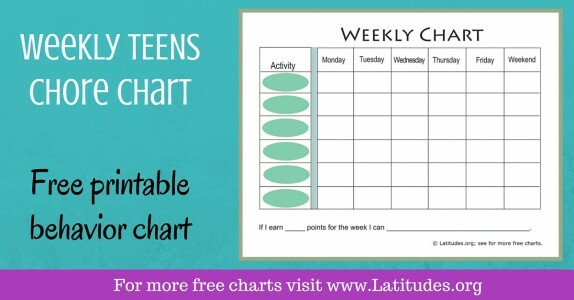 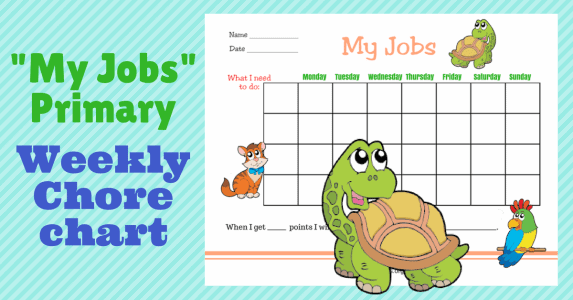 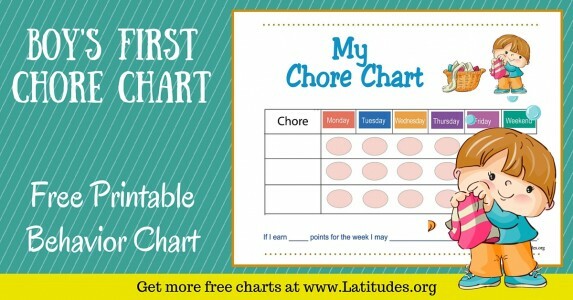 We have chore charts for all ages from preK – teens. 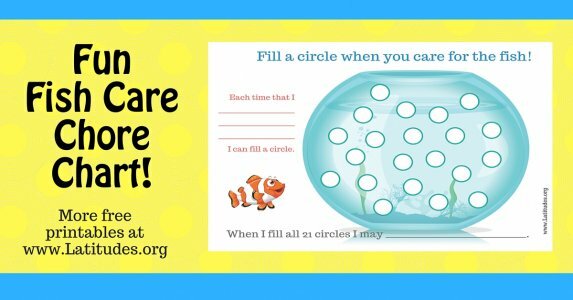 You’ll find flexibility so you can fill in to match your specific needs. 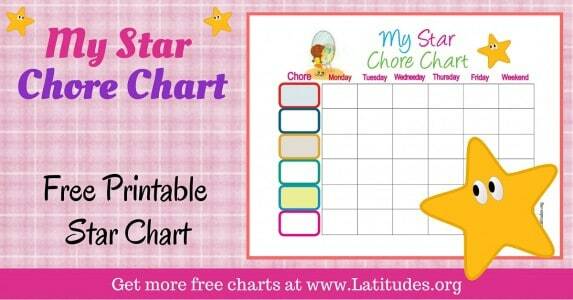 We think you’ll find plenty of charts to choose from for chores in the home. 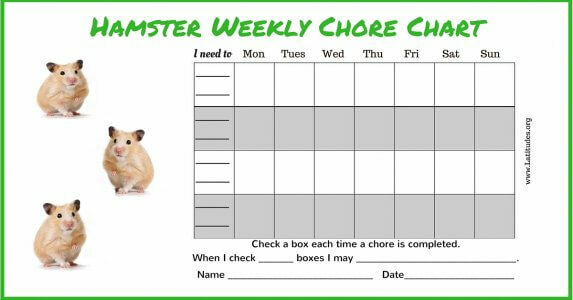 The number of chores you want to include is totally up to you, and you can switch from time to time. 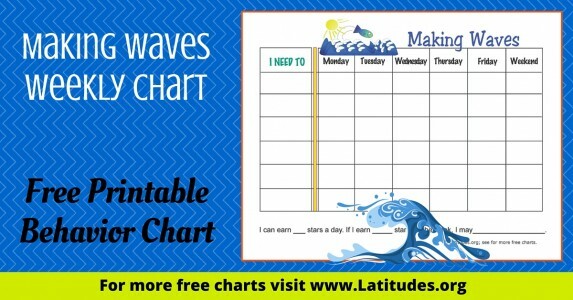 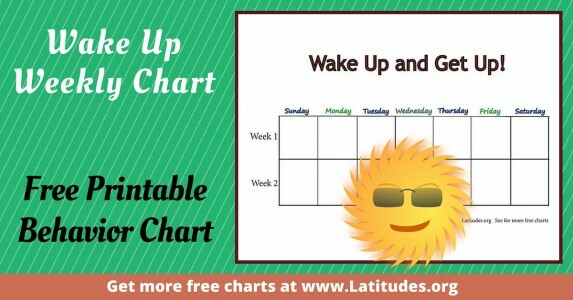 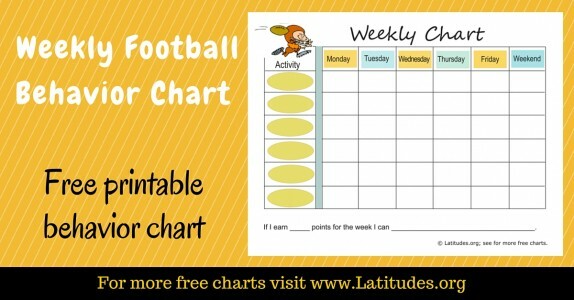 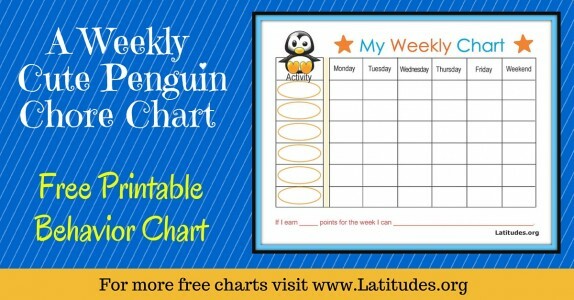 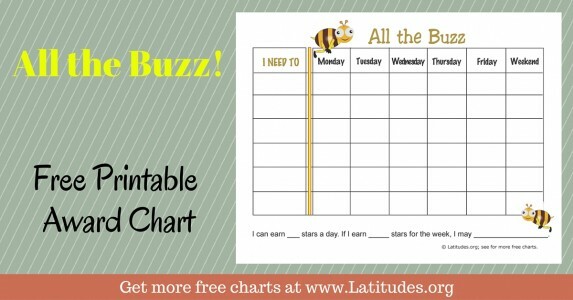 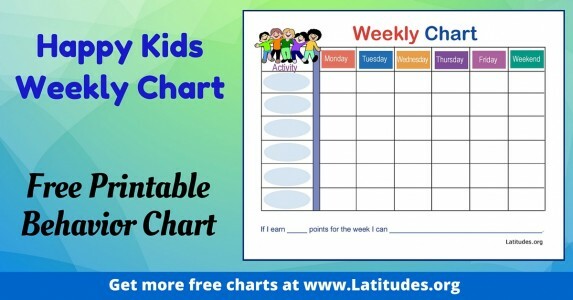 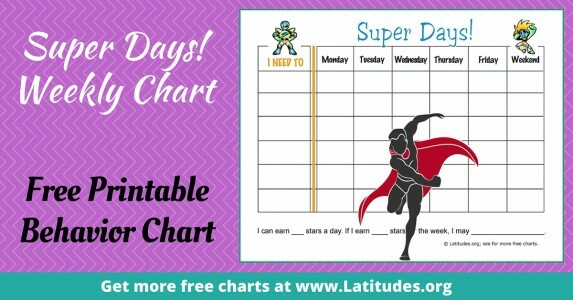 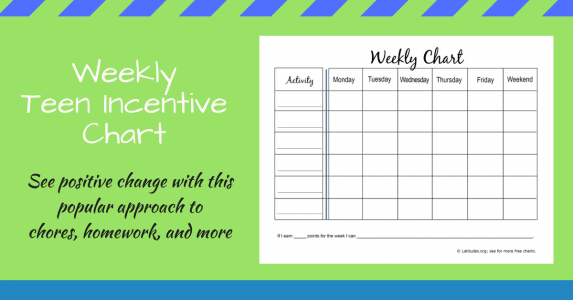 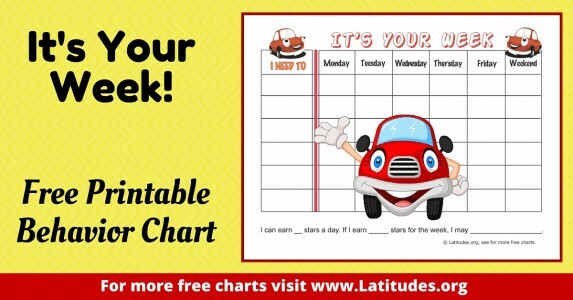 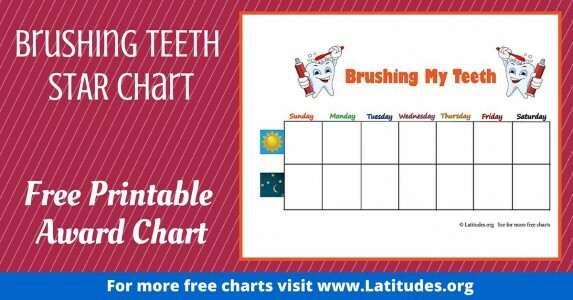 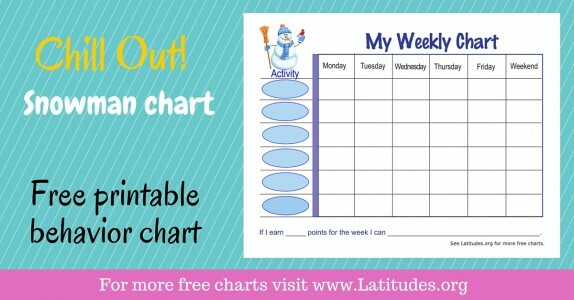 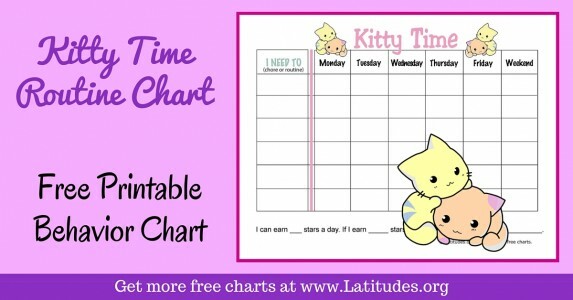 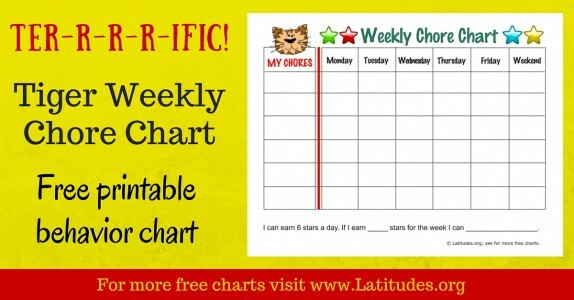 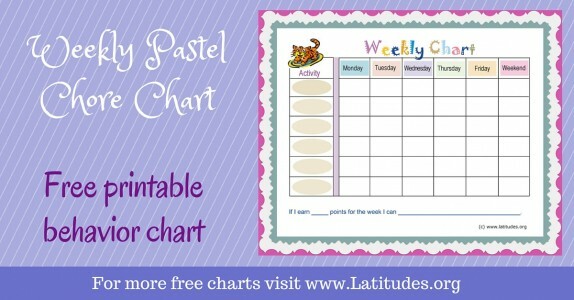 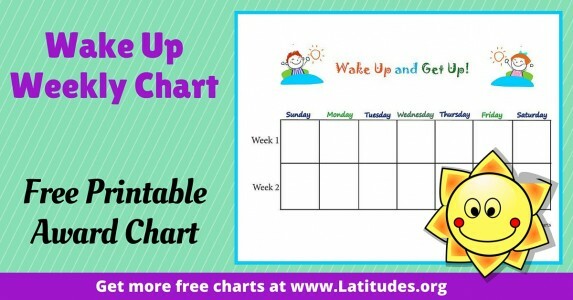 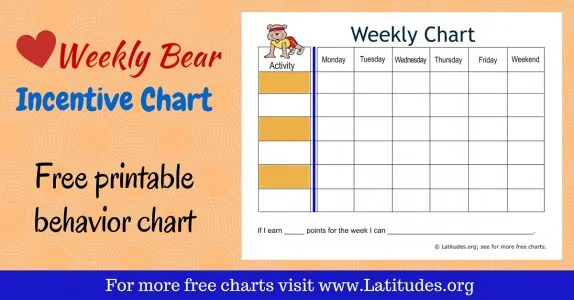 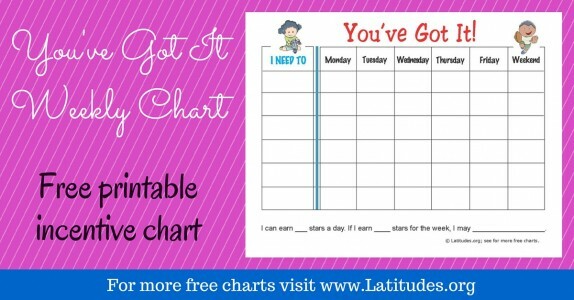 You may decide you need a single day chart for a young child, or a weekly chart. 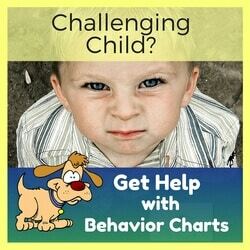 Maturity of the child makes a difference, as well as your goals. 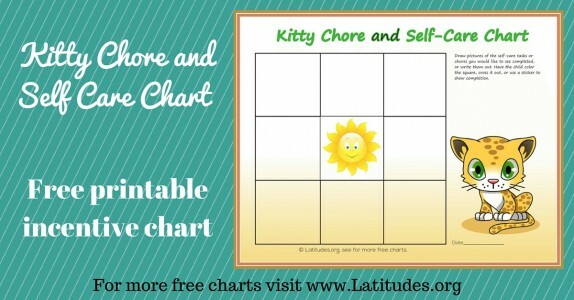 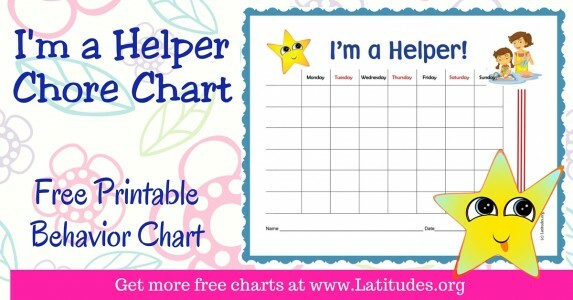 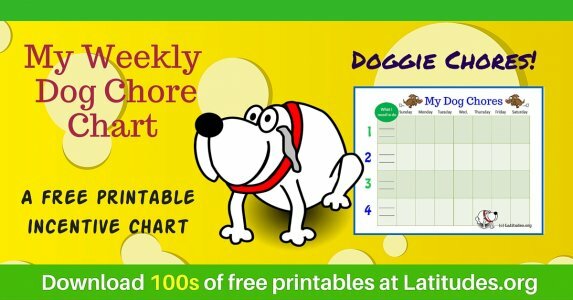 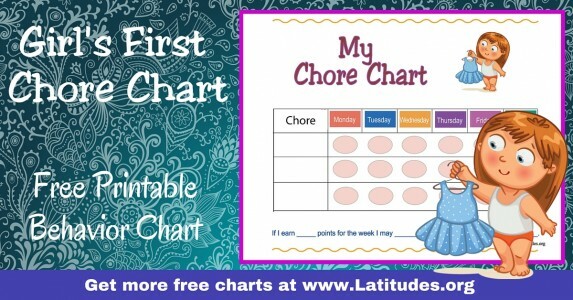 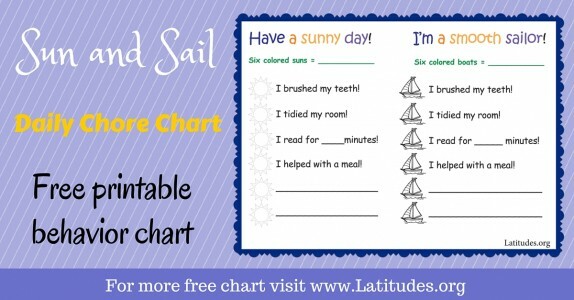 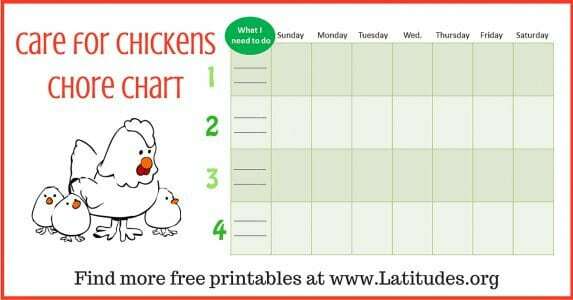 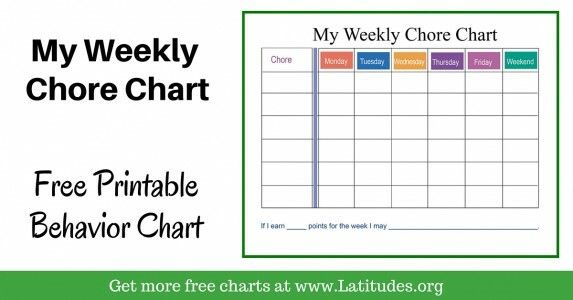 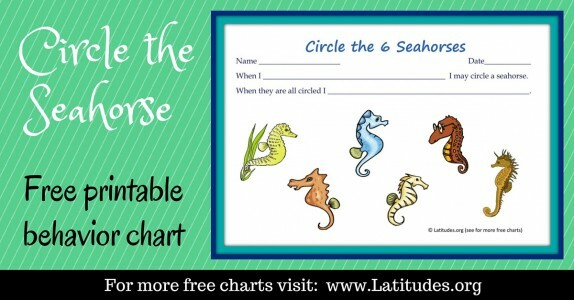 Display your chore chart in an area that a young child can see. 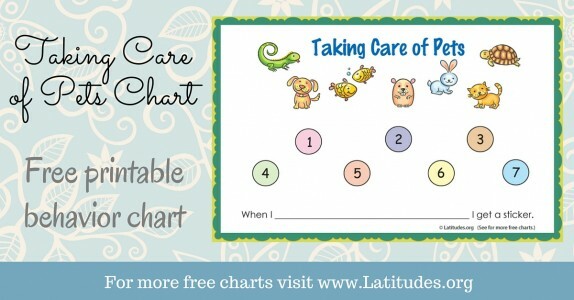 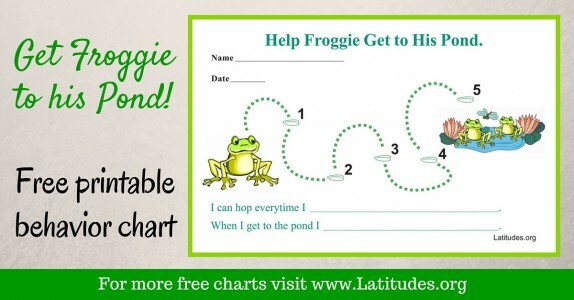 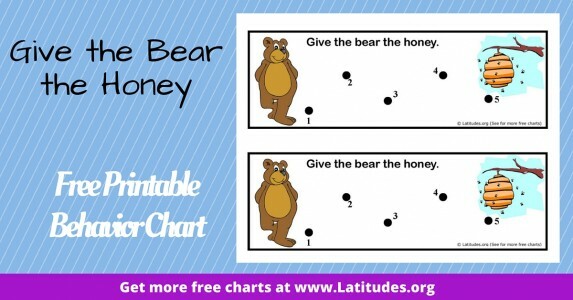 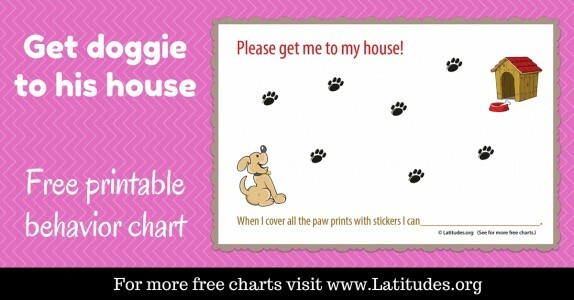 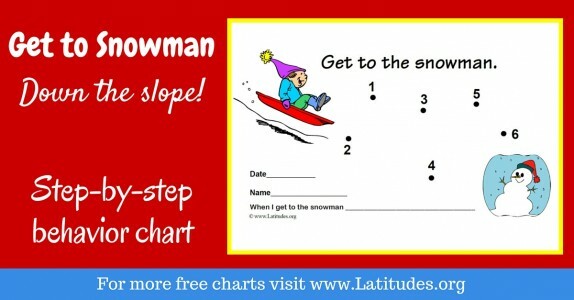 An older youngster may not want friends and visitors seeing his or her chart, but be sure it is very accessible. 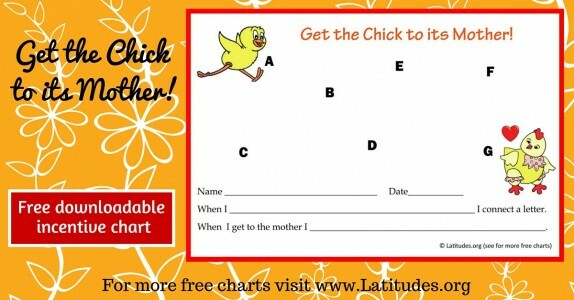 Keeping it in a folder usually works well. 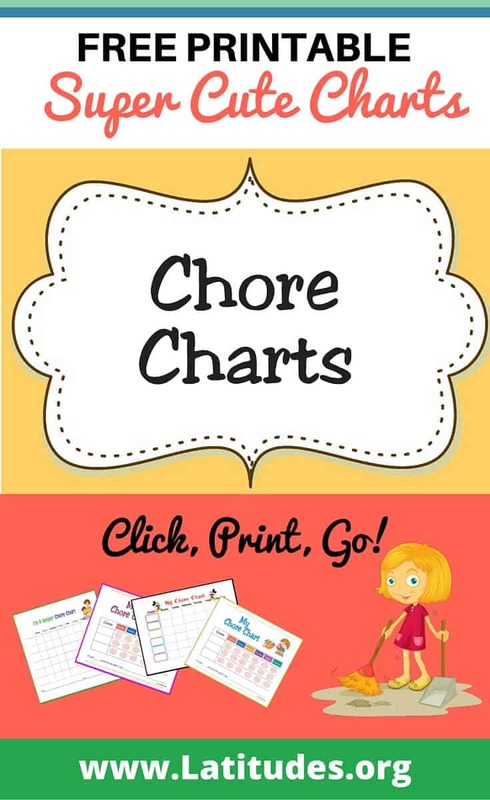 We suggest that you include tasks on the chart that kids normally do, so that each item is not truly a “chore.” Think what you can find that your youngster does and include a couple of those tasks, as well as the more important ones. 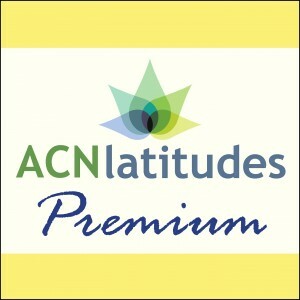 Premium members can fill out the tasks on their computer and have a few ready to use. 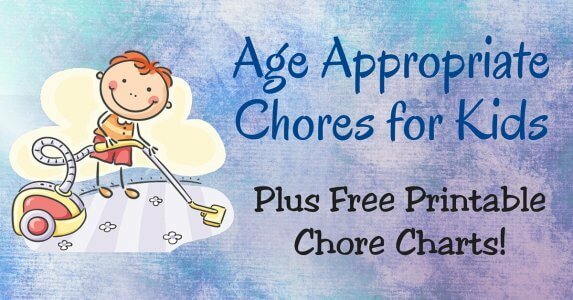 Be sure to check out our listing of age appropriate chores for helpful ideas on the types of chores to use with your children! 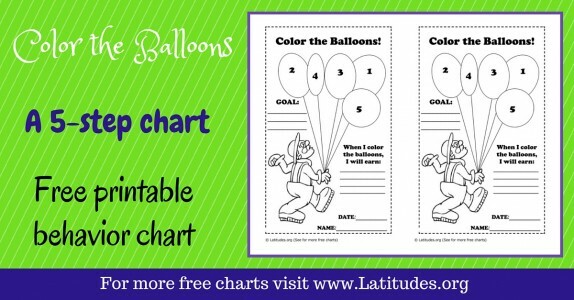 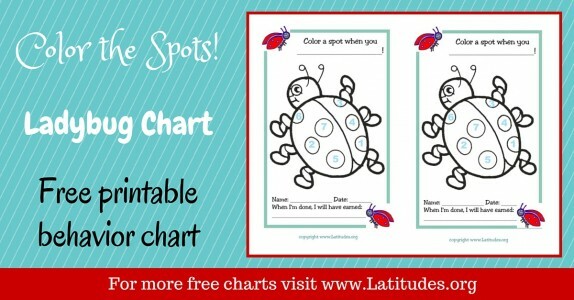 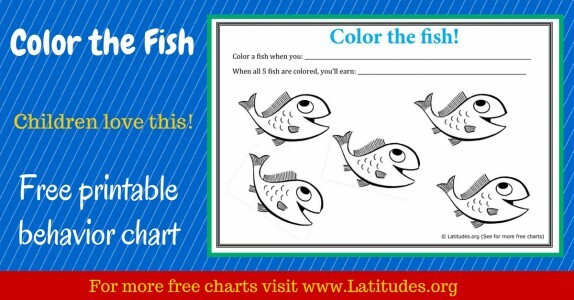 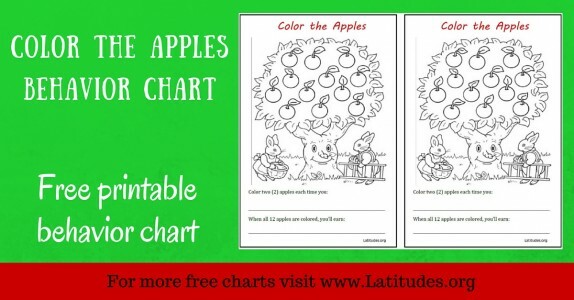 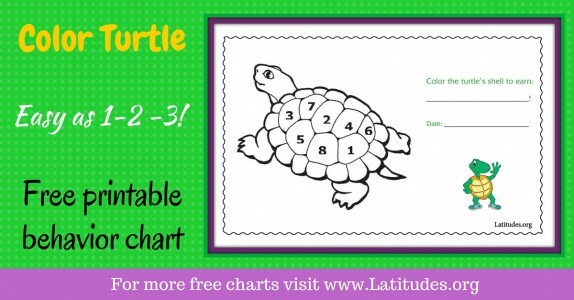 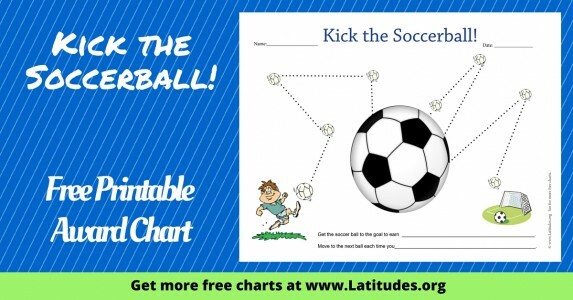 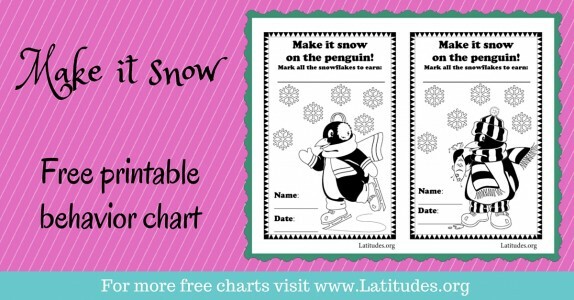 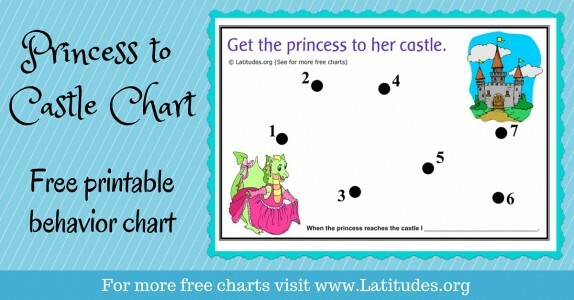 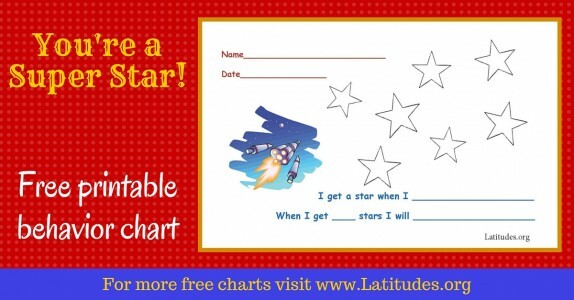 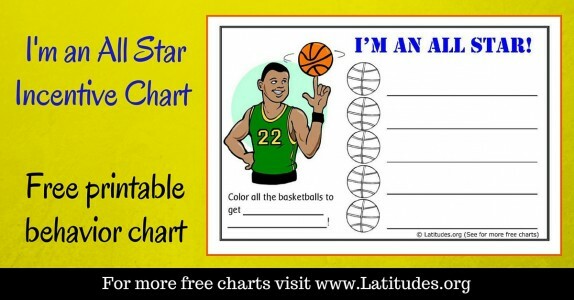 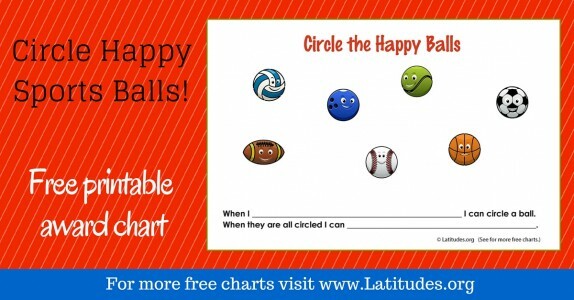 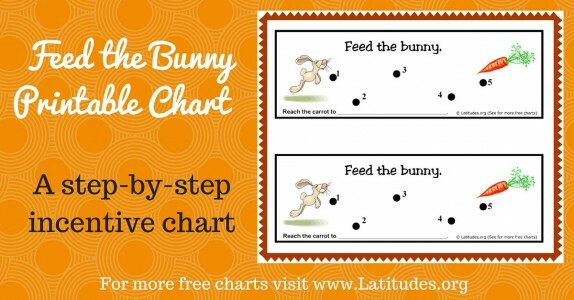 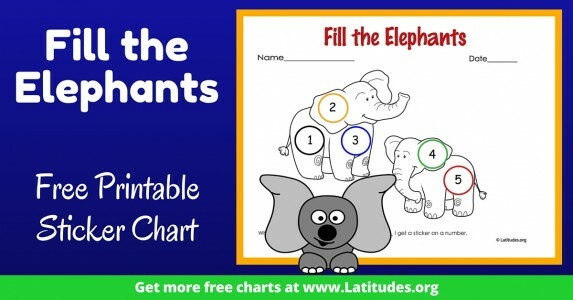 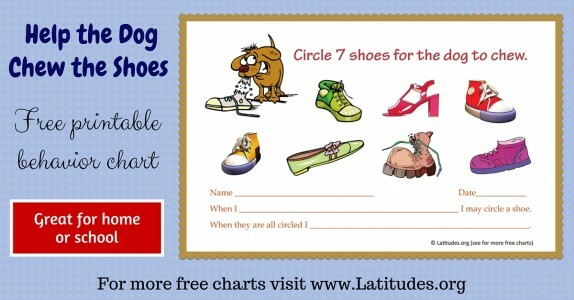 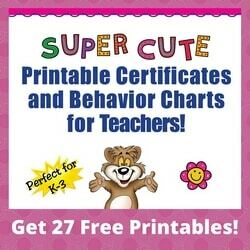 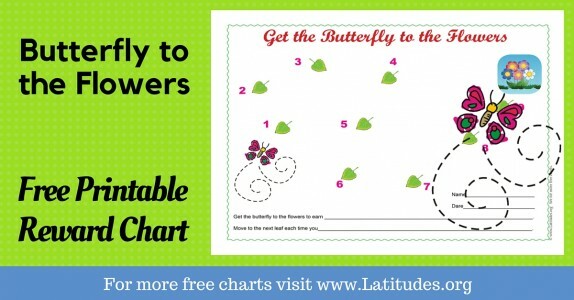 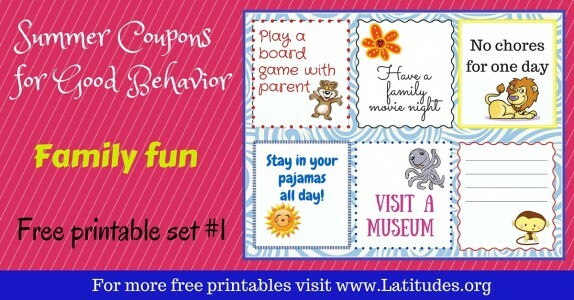 Young children usually love variety with different styles of charts and a variety of colorful stickers. 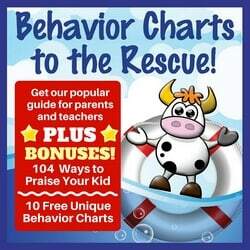 Older kids are not as interested in that. 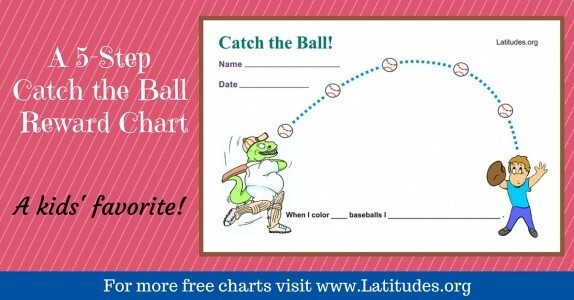 But aim to keep motivation high in order to ensure the chart’s use will be successful. 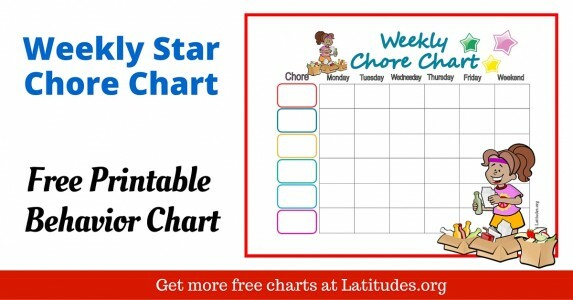 If you like using our free chore charts, then please use our social share buttons to tell your friends and family about them.